As one of the two yearly equinoxes, physical daylight is equally balanced with night at this time. For those of us in the Northern Hemisphere, daylight is on the increase after the spring equinox, moving towards the longest ‘day’ three months later at the Summer Solstice. This year the northern hemisphere’s spring equinox occurs at 6:46PM EDT- on March 20, 2015 (to find this in your time zone use this converter). 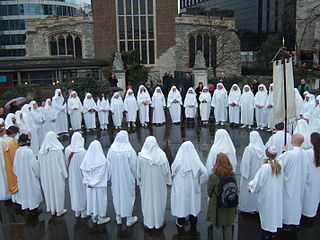 The Druid spring equinox festival is known as Alban Eilir, which means ‘The Light of the Earth’. Spring is a time of rebirth- the soils warm, plants emerge, trees leaf out, many animals start giving birth, and crops are sown. In Druidry there are three spring festivals: Imbolc, marking the first small signs of Spring, Alban Eilir marking its budding, and Beltane marking its full bloom, just as summer begins. So at Alban Eilir the return of life to the earth is celebrated, and balance contemplated. 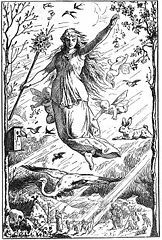 The hare is associated with this holiday, and protects the life-giving Druid’s Egg; a custom reflected in the giving of Easter eggs by the Easter bunny. In Celtic countries it is customary to leave out gifts of something sweet (honey, or mead, or candy) for the faeries at Ostara. 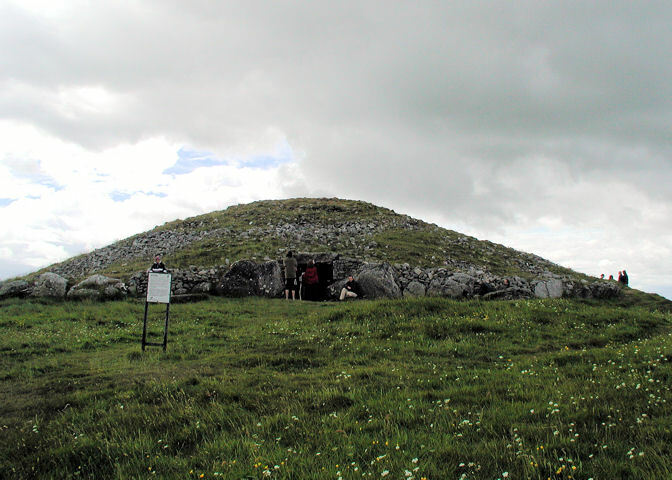 At the 5000 year old Loughcrew megalithic cairn in Ireland, the rising sun on the mornings around the equinoxes illuminate the passage and chamber. The center stone of the chamber with its engraved sun symbols is bathed in a blaze of golden light during the period of illumination. St. Patrick’s Day– is celebrated on March 17th just before the spring equinox. The usual explanation for the use of the shamrock during this holiday is that St Patrick once used its three-leaved shape to illustrate a ‘new’ (at the time) doctrine of the Trinity; however the shamrock is probably the national emblem of Ireland because of its earlier pagan or Druidic associations. Nowruz – (or ‘new light’) the Persian New Year has been celebrated for 3,000 years. It was originally a Zoroastrian festival, and is also a holy day for Sufis, Bahais, and others. Gudhi Padwa– in India is celebrated by some groups as New Years Day. It is also when the sun is in the first point of Aries, their first sign of the zodiac , and is considered a natural beginning of spring. Per the Brahma Purana, this is the day on which Brahma created the world. Other related holidays for the end of the year or new year are dated from the vernal equinox in India. Vernal Equinox Day (Shunbun no hi)- in Japan is an official national holiday, and is spent visiting family graves and holding family reunions. Prior to the establishment of this non-religious holiday in 1948, this was the date of Shunki (vernal) kōreisai, a Shintoism event. During the event, one prayed for good harvest in the spring. Easter– a Christian holiday that falls on the first Sunday after the first full moon on or after the March equinox each year. A symbolic plant of the Equinox in Druidry is the trefoil or shamrock. 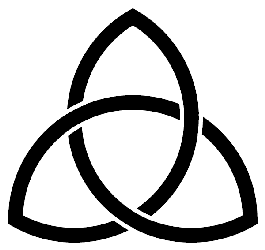 A triquetra (sometimes called a Trinity Knot) as a symbol reflects the form of a shamrock and has many associations in paganism. As examples it can represent- the three stages of the Triple Goddess (Maiden, Mother, and Crone); the realms of Land, Sea and Sky; or the interconnected parts of our existence (Mind, Body, and Soul). This Spring Equinox page was originally published on 1-18-2013, with many revisions since then.